Please check the availability calendar, then click on your date of arrival to see prices for specific dates. Arrival days are Fridays or Mondays. If you require check in on days other than a Friday or Monday, please do send an enquiry and we will help if we can. Please enquire if you would like prices for Christmas and New Year breaks. 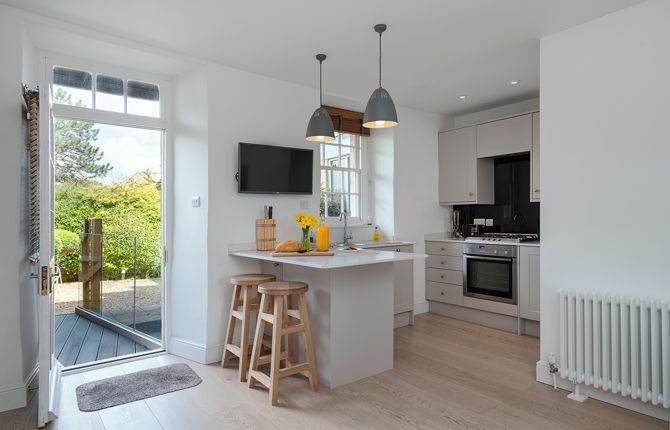 We can also offer up to 10% discount on longer term lets. If you need any help with booking please call Karen on 01761 241 704. 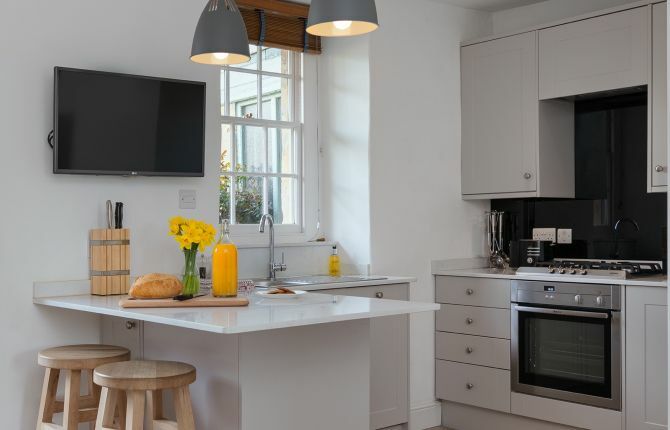 Situated in the centre of the beautiful Georgian City of Bath but hidden away behind the bustling streets, this one bedroom, boutique flat offers a secret escape with added luxury. 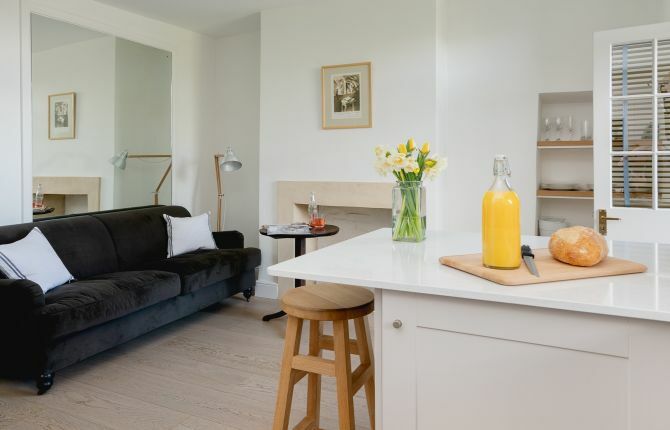 Newly renovated to a very high standard and offering a kitchen/sitting room, with breakfast bar, 32” smart television and a small balcony with table and chairs for that all important morning coffee or sundowner! 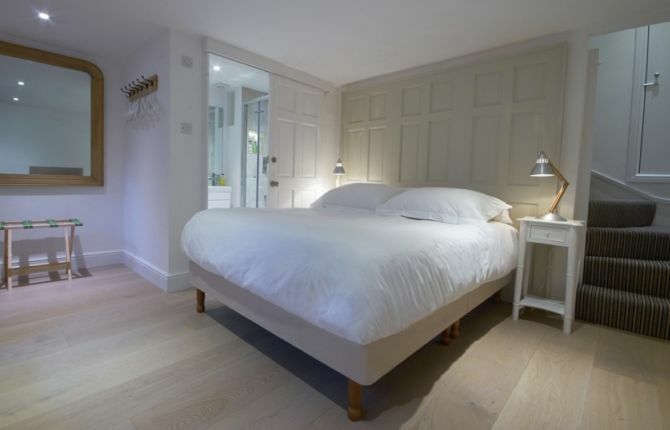 The bedroom is on the lower floor and has a king sized bed, dressing area, an ensuite shower room and a 22” smart television. There is a door out to another exterior sitting area, with yet another table and chairs. There is one resident’s parking permit available – gold dust in the centre of the City! 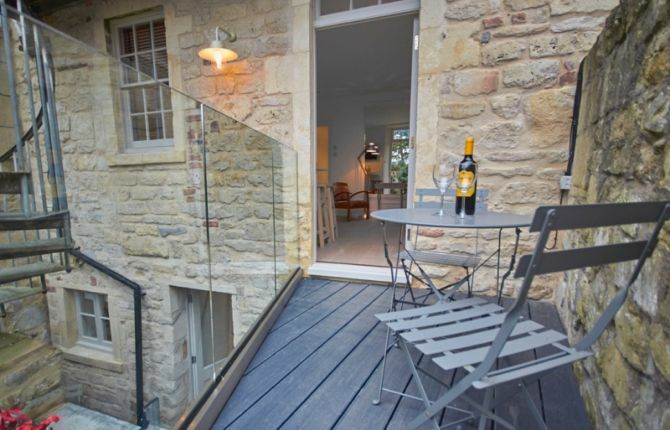 Our Secret Escape on Bath is perfect for city based holidays and short breaks. 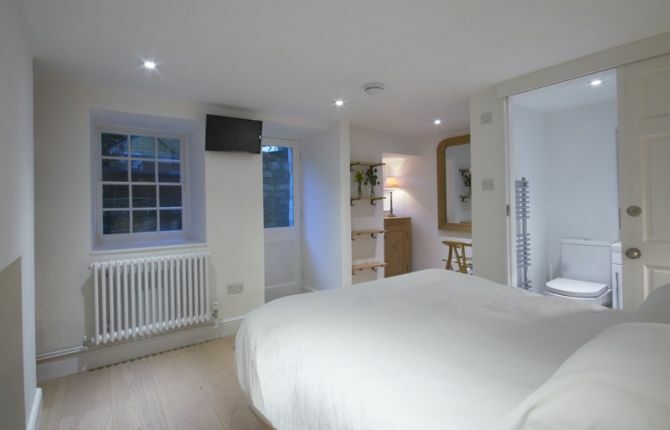 If you are looking for luxury, boutique, 1 bedroom holiday or short break accommodation right in the centre of Bath CIty - then please get in touch!